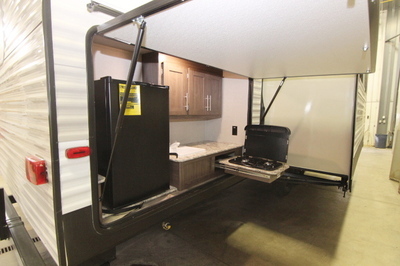 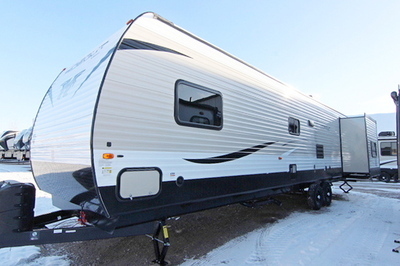 Packages and Upgrades Included with this Unit:- KRV Tested Family Approved Package, Built To Last Package, Power Tongue Jack, 4 Stabilizer Jacks, 15" Spare Tire Kit, LCD TV & Bracket. 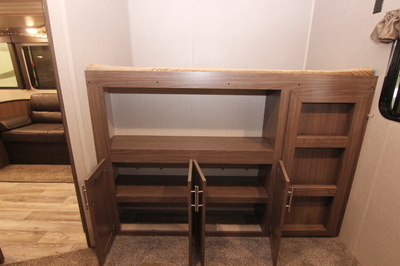 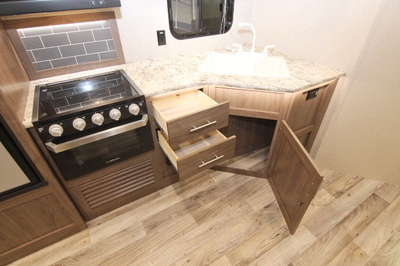 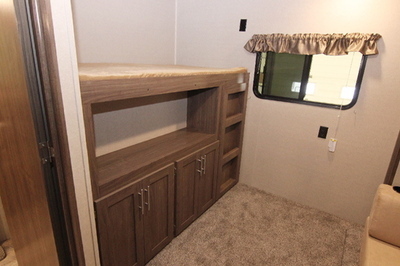 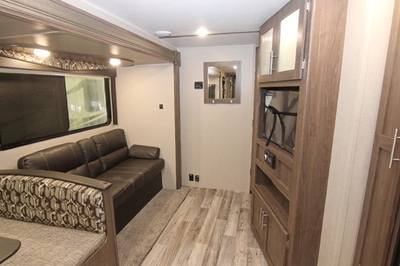 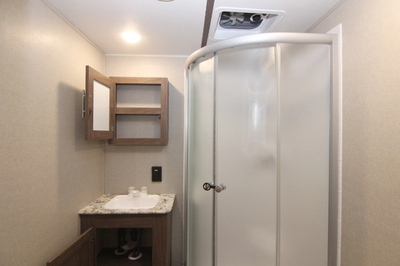 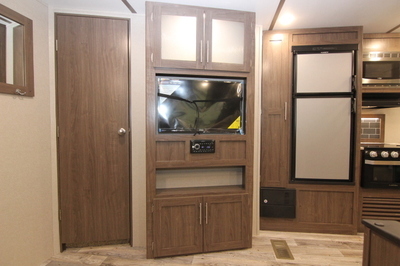 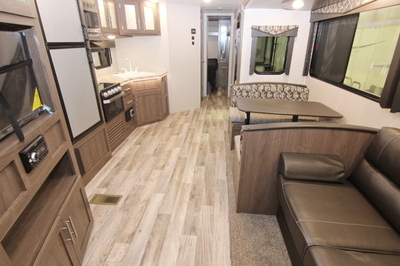 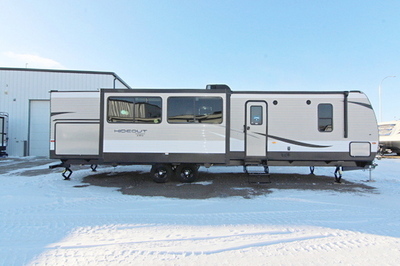 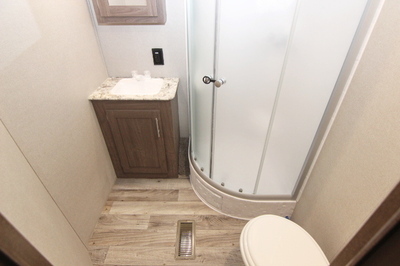 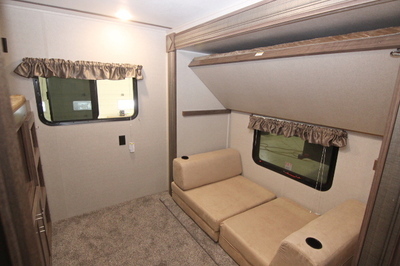 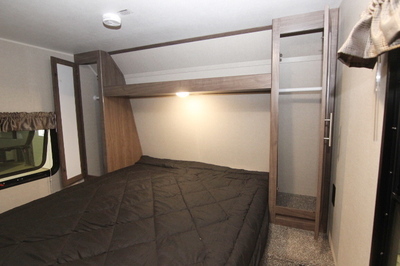 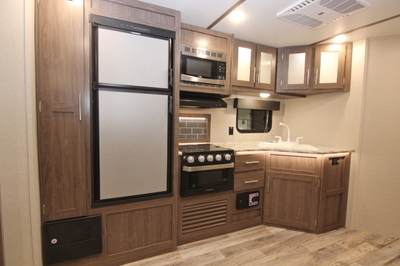 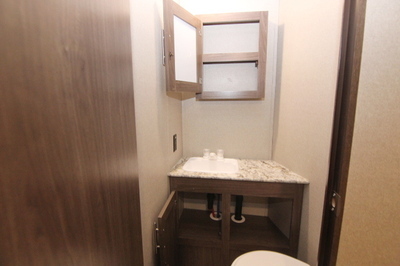 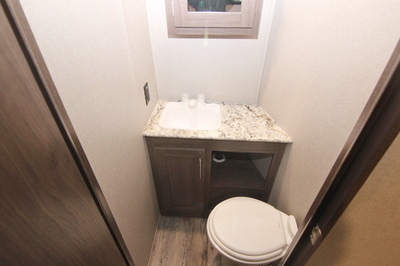 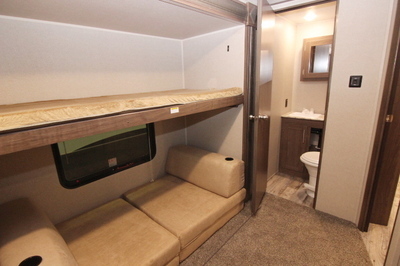 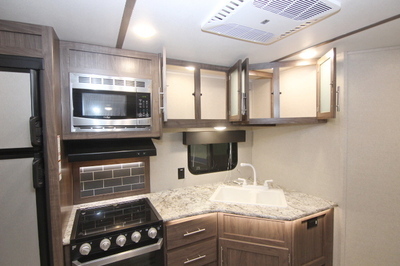 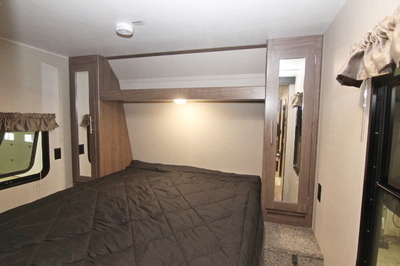 KRV Tested, Family Approved Package:- Power Awning, Jensen Stereo,Central Vacuum, Porcelain Toilet with Foot Flush, Tinted Safety Glass Windows,12” on Center Floor Joist, New Panoramic Slide Room Windows, Enhanced Lighted Oven with Glass Range Top and Smooth Entrance and Baggage Doors. 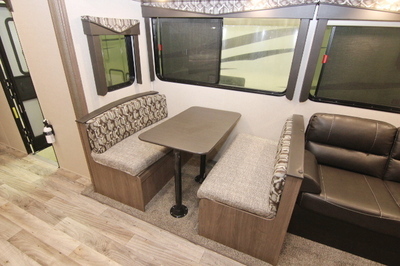 Exterior Standard Features:- Diamond Plate, Lighted Adjustable Power Awning, Outside 110 receptacle, E-Coated Wheels, Exterior TV Hookup/Cable& Bracket, Powder Coated I-Beam Frame, Easy Lube Axles, Full Length Outriggers, Dual Battery Rack, Exterior Speakers, Black Radius Window Frames, TV Antenna with Booster, Cable Hook Up, Radius Entry Doors w/Integrated Struts, Oversized Pass Thru Storage, Rain Gutters with Down Spouts, Tru-Fit Five Point Slide Out Construction, Roto-Cast Seamless Holding Tanks, Hurricane Straps Reinforced Structure, Four Heavy Duty Stabilizer Jacks, Radial Tires, Cambered chassis, 96"Exterior Width. 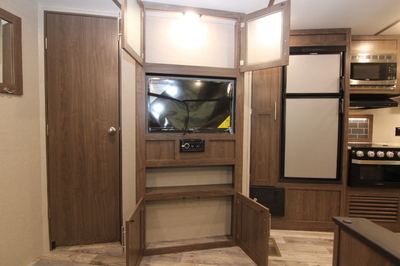 Interior Standard Features:- Interior Surround Sound Speakers, Bluetooth DVD/CD/MP3 Stereo, Hidden Laundry Chute, Microwave, Monitor Panel, 6 Cu. 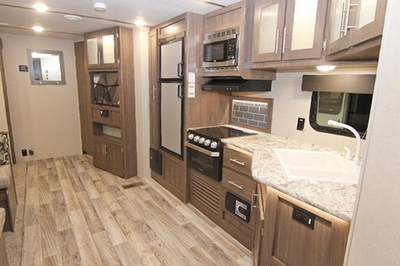 Ft. Refrigerator, Ball Bearing Drawer Guides, 12 Volt 55 Amp Converter, 13,500 BTU Air Conditioner, Built-In 30,000 BTU Furnace, Flex Pex Tubing with 10 Year Warranty, 81" Interior Height, Tub Surround, Foot Flush Toilet, RG6 Cable and Satellite Wiring, 41/2" Crowned Roof, Loomed Color Coded Wiring, Range with Hi-Output Burner,Reversible Dinette Cushions, High Rise Kitchen Faucet.